BATON ROUGE — Catholic High School of Baton Rouge will hold its Baccalaureate Mass and One hundred seventeenth Commencement Exercises Saturday, May 18, at 4 p.m. at the Baton Rouge River Center Arena. 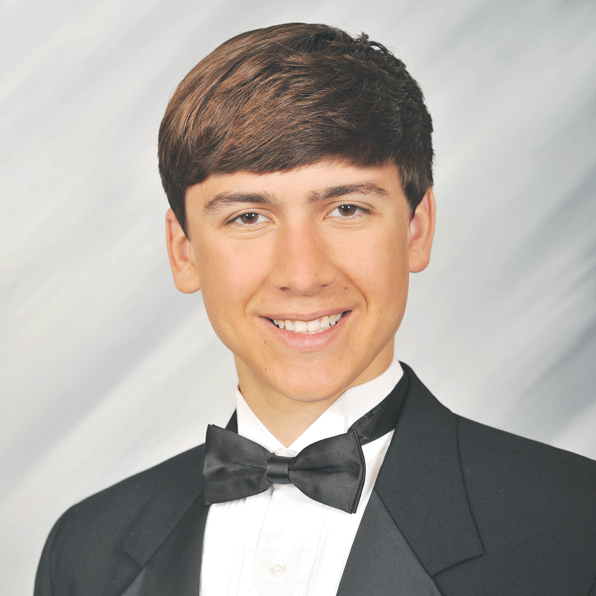 Mark Russell Babin was named Valedictorian and Michael David Doiron Jr. was named Salutatorian. Completing the Class of 2013 are Cody Austin Abshire, Batu Derin Acar, Conrad James Adkins, Andres Alejandro Aguilar, Daniel Brendan Aguillard Jr., Austin Lee Anderman, Jordan Collins Anderson, Eric John Andries, Brett Joseph Arnold Angelloz, Mark Russell Babin, Reece Michael Babin, Matthew Griffin Baggett, Lucas Jaye Bankston, Garrett Lawrence Baringer, Brennan Jude Barrilleaux, Hunter Michael Baudier, Barrett Cameron Beam, Kurt Michael Becnel, Aaron Paul Belanger, Tyler James Bellue, Julian Gregory Bernard, Michael Daniel Bernhard, Patrick Michael Betts, Patrick Davis Blanchard, Christopher Joseph Bloise, Caleb André Boesch, Matthew Carl Bolin, Taylor Dayne Bonvillain, Daniel Martin Bordelon, John Michael Bourg, Benjamin John Braymer, Dillon Todd Breaux, Garret Louis Broussard, Christian Jamison Brown, William Thomas Burnett IV, John Reid Burns, Christian Jude Bursavich, Brandon Alexander Byrd, Conner Taylor Caffarel, Leon Duke Calvit III, Cole Stallmann Cardenas, Nicholas Paul Caruso, Hayden Charles Case, Maurice Joseph Coleman Jr., Stephen Elliott Colomb, George Emitte Core III, Andrew Robert Creel, William Edward Crosby, Samuel Thomas Culotta, Patrick Ryan Cunningham, Tyler Joseph Davidson, Austin Keith Davis, Noel Carson Day, Austin Michael Dedon, Zachary Ryan Delaney, Dylan Scott DeLee, Ashton Thomas Dewey II, Nicholas William Dias, Connor Joseph Dizor, Michael David Doiron Jr., Lucas Taylor Dove, Adam Paul Duhe, Hunter Joseph Dupré, Patrick Michael Durel, Chase Ryan Easley, Matthew David Edwards, Clarence Ellis III, Ross Harter Ellison, Blake Woodson Esch, Connor Jason Ethridge, Cody Michael Favaro, John Piere Firmin, Jake Russell Forshag, Marc Andrew Fournet, Corey Christopher Free, Wesley Thomas Freeburgh, Brandon Paul Fresina, Cecil Farrell Frugé III, Nicholas Lee Frugé, Ryan Gabriel Gaudin, Adam Reed Genre, Hudson McKowen Gerald, Nicholas Dean Gough, Mark Thomas Graham, Evan Andrew Graves, Matthew Payton Green, Justin Matthew Guitreau, Barrett Christian Hall, Matthew Joseph Hannaman, Ryan Joseph Harb, Taylor Dodson Harris, Trevor Neil Heap, Cameron Michael Hebert, Troy Louis Henderson IV, Matthew Joseph Herrera, John Cullen Hodges, Jonathan Matthew Hoffmann, Reed Joseph Hymel Holdridge, Travis Joseph Honoré, Timothy Kyle Huffstickler, Brennan Alexander Hull, Philip Thomas Hunt, Stephen William Hurdle, Hunter Charles Kenneth Hurst, Patrick Thomas Isacks, Travis Allen Jackson, Robert Lee Jefferson III, George Michael Jeha, Samuel Joseph Jett, Jeffrey Hunter Jones, Nicholas Allen Jones, Thomas Joseph Karam Jr., Ryan Allen Keaton, Christoph Berend Keim, John Timothy Kellner, Christian Francis Key, Corey Lantz King, Everett Alexander Lee Knox, Robert Joseph Kusch II, Mitchell Alden LaBauve, George Gilmer LaCour III, Austin Anthony Lala, Aaron Christopher Lambert, Kyle Patrick Landry, Benjamin Louis-Philip LaPlace, Jean-Marc Joseph Lapointe, Scott Ashley Lauter, Kim-Nam Le, Darius Trevon Leahman, Taylor Seth LeBlanc, Tyler Joseph Lee, Austin Lee LeJeune, Bryson Michael LeJeune, Joseph Burton LeJeune, Taylor James Lemoine, Peyton Tyler Leonardi, Andrew Mark Leto, Travis John Lindsey, David Joseph Losavio, Elijha De-James Lotten, Brandon Michael Luckett, Thomas Demie Fejes Mainieri, Patrick Charles Marcus, Hamilton Alexander May, Michael Charles McDowell, Ryan Thomas McGinty, Scott Ragan McKinzie, Grayson Bradford McManus, Joseph Scott Meade II, Alan Tyler Melder, Jordan Quin Mese, Ryan Edward Michiels, Robert James Miketinas, Jonathon Andrew Miller, Zachary Steven Miller, Charles William Mock Jr., Michael Stewart Morales, Kevin August Moran, Matthew Gregory Morgan, Myles Jordan Nash, Phillip Jacob Nauta, Connor Eugene Nelson, Justin Herbert Nicholson, Kevin Mark Ortego Jr., Jacob Michael Oubre, Ryan Joseph Palmisano, Casey Joseph Panepinto, Matthew Aaron Patterson, Tyler Lee Peairs, William Christopher Pearson, Ian Patrick Pfister, Thomas Edwin Phillips IV, Christian Gage Pittman, Francis Jay Poché III, Brice Alexander Polito, Joshua Patrick Porche, Adam Adras Prevot, Benjamin Joseph Puckett, Byron Joseph Quartano, Logan Christopher Ray, Matthew Patrick Rhorer, Micah Vincent Rispone, Brett Patrick Riviere, Jacob Michael Robbins, Austin Taylor Robert, George Sullivan Roberts, Phillip Michael Rodman, Sidney Adam Rodriguez, Jordan David Romero, Paul Michael Roppolo, Michael James Ruiz, Christopher Lawrence Ruth, Nicholas Grant Salzer, Steven Patrick Sanchez, Ryan Charles Sandifer, Connor Michael Sanford, Ellis Joseph Sartain, Alexander Douglas Say, Ben Jacob Schexnayder, Stephen Zachary Schmidt, Joshua Blake Schwartzenburg, Kyle Jarvis Scott, Patrick Edward Shamma, Bennett Oliver Sherman, Ryan Michael Carter Shore, Jonathan Tré Simmons, Cody James Solar, Mack Henry Solar, Tyler Tamond Sparrow, Joseph Paul St. Cyr, Adam Patrick Stagg, Austin Patrick Starks, Anthony Mekdessie Stuart, Austin James Sulik, David Matthew Summerville, Caleb Russell Sutton, Micah James Theriot, Avery Sanders Thibodeaux, Khalil LoWalt Thomas, Cameron Shainaan Tom, Patrick Elias Van Duzee, Adam Vinh Vo, Matthew Steven Walker, Brendan Thomas Walsh, Matthew Burns Walsh, Richard Evan Wampold, Kenneth Wayne Ward II, Alexander Charles Watson, Jacob Franklin Watts, Tyler Paul Wills, Austin James Wilson, Dwayne Everette Woodard Jr. and Michael Ryan Zielewski. National Merit Semifinalists are Mark Babin, Hunter Dupré, Austin Lala, Taylor Lemoine, Kevin Ortego and Brice Polito. National Merit Finalists are Mark Babin, Austin Lala, Taylor Lemoine, Kevin Ortego and Brice Polito. Student Council Officers for the 2012-2013 school year were Bennett Sherman, president; James Chastain, secretary; Madison Dillard, public relations; and Jacob Oubre, District 3 Treasurer.